The back story. An impressive lady, Yvette (yes another me, one whom I met at a NSW Breast Cancer Foundation Ambassador training), recently got in touch. After her diagnosis Yvette gave up her Corporate career in the music business, her home in Sydney and party fueled lifestyle and totally reset her life She's since gone on to base herself in QLD and to rise to the top of the Wellness entrepreneurial community with her business Soulpreneurs. 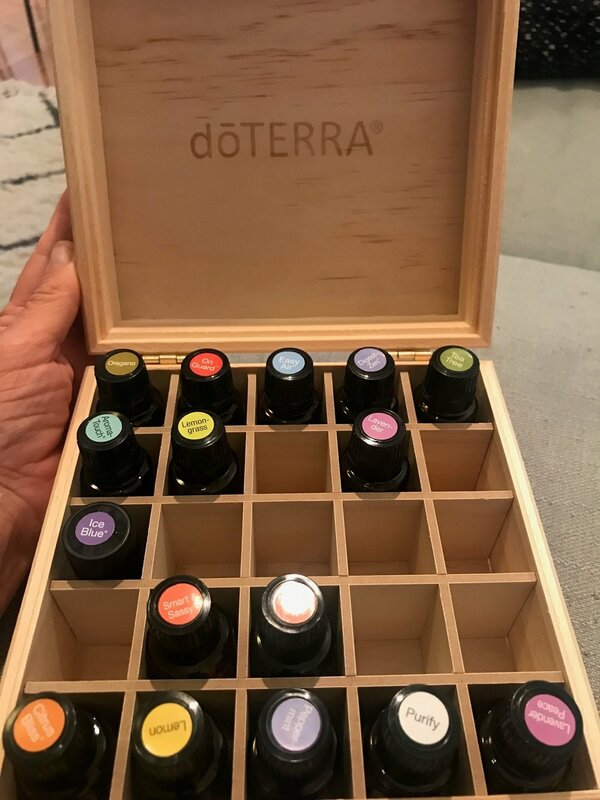 In more recent news she expanded into the doTERRA Essential Oils business and she's absolutely loving it. Both the oils and the business of the oils. As is typical with me, after discussing my latest health issues with Yvette, I couldn't wait to get these babies into my hands. I must say, they are every bit as awesome as I hoped, so much so, I'm frankly obsessed. On the frank topic, especially with frankincense! Cut to me researching essential oils, and doTerra specifically. From their social responsibility to sourcing efficacy and of course therapeutic grade products, they are the real deal. I even like the Network Marketing aspect, it works because there's a lot to learn when it comes to getting the most out of essential oils. Oils coaching is a thing! Anyway, I wont rabbit on all day but I did want to share my initial top 10 oil hacks. Because, I think you might want to investigate this little side passion of mine too. Tea tree oil - an Aussie favorite - also known as Maleluca is natures best antiseptic and also doing a fine job of managing the zit I am currently sporting on my chin! Smart and Sassy - a doTERRA oil blend increases your metabolism - OK this isn't a hack I can swear by given my newness but it feels good to be giving it a try! As you can see, I'm kind of excited about the delights of these oils. So sharing them called me right in. If you want to know more, click the Essential Oils link up above or send me an email - yvettemayer@hotmail.com. I'm going to start hosting Oils classes soon and I would love to have you join. If in person doesn't work, a phone or skype is pretty effective too.